Are you ready to be a Sales Sherpa? Yesterday’s sales world is gone and success will go to those who have the skills and capabilities the new sales process demands. Do you want to start easier conversations, cultivate stronger customer relationships, and accelerate your sales cycle? You’re in the right place. 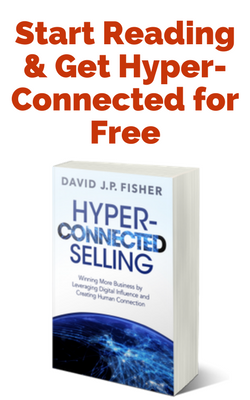 David J.P. Fisher is an international sales speaker and author focused on showing individuals and sales teams how to harness the power of digital communication and old-school sales skills. He combines entertainment and education in presentations that inspire his audiences to act and get hyper-connected! D. Fish delivered an absolutely stellar presentation to our American Marketing Association chapter. With a presentation style that is conversational yet polished, he engaged the audience with an amazing combination of strategies, tactics, and real-life stories. We will be bringing him back! You know a training session is a success when employees share that they put what they learned into practice “the same afternoon.” We wanted to show Morningstar employees the value of LinkedIn and David provided an engaging and actionable session. Leslie Marshall - Dir of Events - Morningstar, Inc.
Energy, humor and grace. David brought just the right combination to Content Jam. He kept the day flowing, kept things running on time and kept the room smiling. He really put the M into MC. I highly recommend him. David has educated thousands of Northwestern alumni, students, and friends on how to tap into the power of the LinkedIn network. He is exceptional at reaching and connecting with an audience. Aspasia Apostolakis Miller - Northwestern University Alumni Assoc. David possesses a clear depth of knowledge on the professional networking–as well as a passion for it. He is persuasive and yet approachable, making him an ideal speaker. I recommend him without reservation and would hire him again.